At the beginning of the twenty-first century the ideas of an eccentric scientist, born in the nineteenth century, were being rediscovered and reexamined for application in modern technology. The man had been a penniless immigrant to America in the 1880s, but within a year he invented a technology that changed the world. His name was Nicola Tesla and not only was he a genius, but he was a human being whose mind functioned in higher dimensions. It was Tesla, not Edison, who invented the technology used for commercial electricity, Alternating Current. However, it took Tesla most of his life to win the rights to his patents. Tesla pioneered scientific exploration in electromagnetism, and his discoveries led him outside the focus of his universe and far ahead in time. The War Department even contracted with Tesla to develop secret weapons, including a death ray. And when he died, the FBI seized 80 trunks worth of Tesla’s papers and possessions, to assure they wouldn’t fall into unfriendly hands. 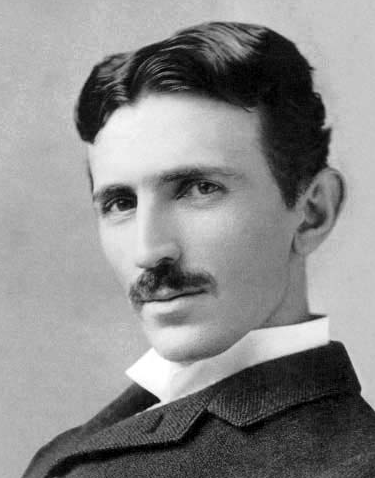 Tesla was an extraordinary man on many levels, with rare abilities including the gift of being able to visualize completed inventions in his mind. He also has a mental condition which enhanced his perceptions, Synesthesia. His mind was a gift to mankind, but as in today’s world, few truly understood abilities they themselves do not possess. And Tesla denied himself sexual pleasures. A self-declared asexual, he asserted that his “chastity” gave him the drive for discovery and invention. Some questioned Tesla’s sexuality. Some assumed he was perhaps a sexual deviant. However, in studies and biographies, there has never been evidence of this. Tesla could have been a man of great wealth. But his battles over patents, especially with Edison, and failed enterprises left him impoverished at the end of his life. Tesla’s lived on an extreme edge throughout his life. In younger years, he suffered a mental breakdown. In his final years he was troubled by conditions of sensory overload. And yet he lived to the age of 86. When Tesla died, he died alone in a small hotel room. Much is known about Tesla and his vast body of work. His life has been and continues to be studied and analyzed. However, a single extraordinary event in Tesla’s life has remained secret. This entry was posted in Writing and tagged Stories, Writing. Bookmark the permalink.